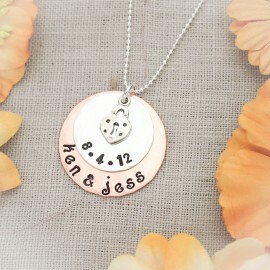 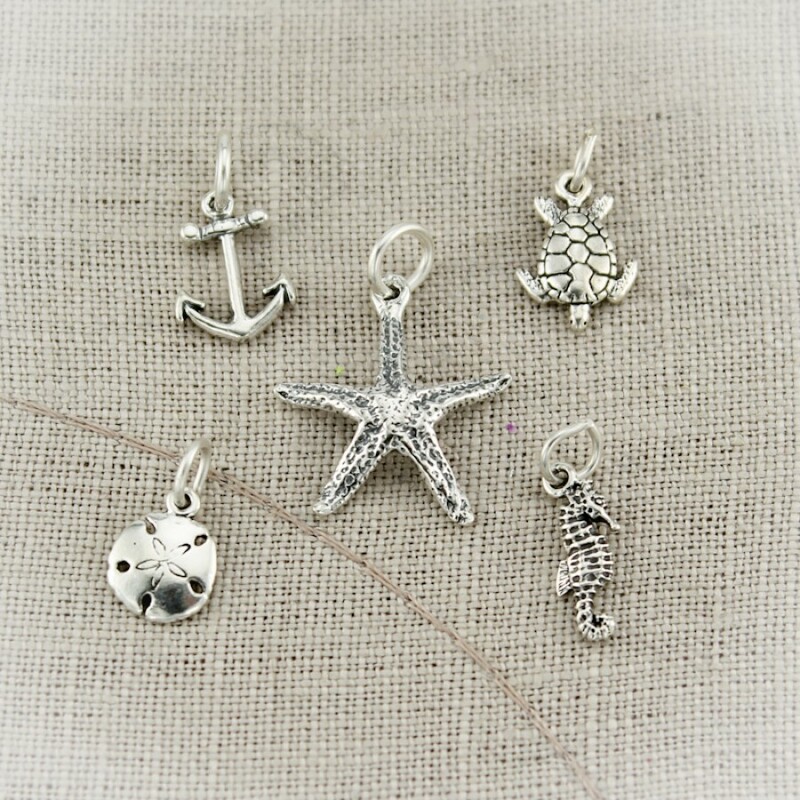 Seashore theme charms for bracelets or necklaces in sterling silver and bronze. 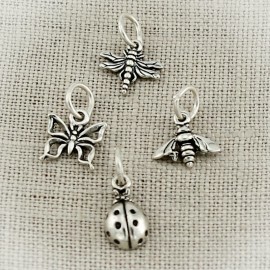 All sterling silver and attached to a 5.8 sturdy sterling silver jump ring. 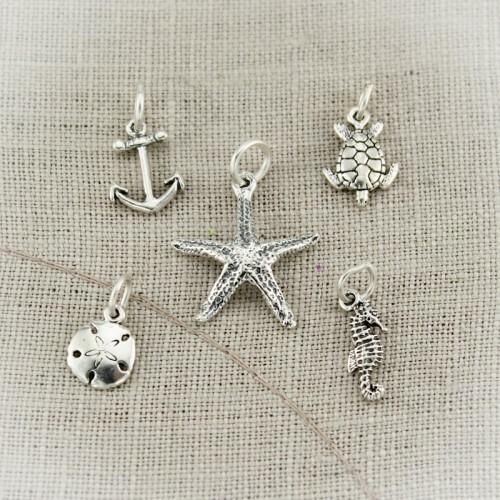 Prices begin at $6. 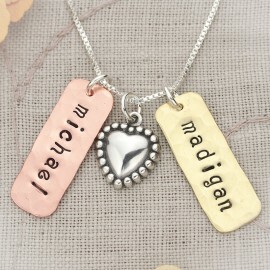 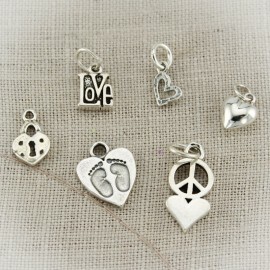 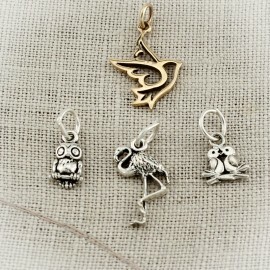 Sterling silver charms for bracelets or necklaces.